Experts who study women in politics say the lack of female representation in the White House and Congress is not necessarily a function of voter sexism, but instead can be blamed on a lack of women seeking political office despite females representing a 51-percent majority of the electorate in the United States. Women have had the vote since the 19th Amendment was ratified in 1920, and yet Democrat Hillary Clinton was the first female candidate for president nominated by one of the two major political parties, and women hold just 19.4 percent of the seats in Congress. In Colorado, where women make up that same slight majority of the electorate, the number of women serving in the highest political offices is well below the national average. No woman has ever served as governor, and just one woman – senior Democrat Diana DeGette of Denver – serves in Congress. That’s one out of nine members of the delegation, or just 11.1 percent. “I know we have still not shattered that highest and hardest glass ceiling, but someday someone will — and hopefully sooner than we might think right now,” Clinton said during her concession speech Wednesday after losing to Republican Donald Trump in Tuesday’s general election. 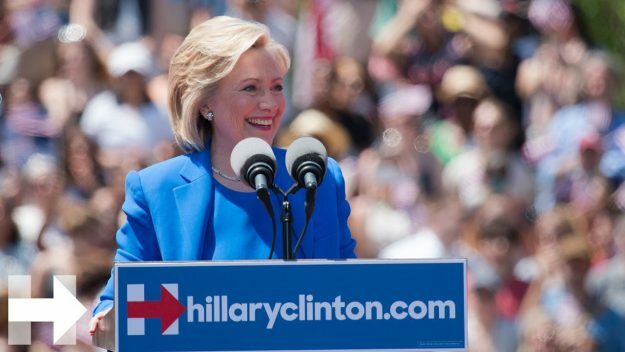 “And to all of the little girls who are watching this, never doubt that you are valuable and powerful and deserving of every chance and opportunity in the world to pursue and achieve your own dreams,” Clinton added. Chances are, however, not as many of those little girls listening will actually throw their hats into the ring and seek elected office, because not nearly as many women go into politics as men. “Kind of surprisingly and counter to the narratives we hear so much, there isn’t much evidence of voter sexism, which is to say women win their races at about the same rate as men win their races and also raise similar amounts of money,” said Curtis Bell, research associate with the Broomfield-based One Earth Future Foundation. OEF, founded by Colorado commercial-real-estate developer and Mountain High Yogurt founder Marcel Arsenault, leads initiatives to prevent and stop armed conflict. Trump is the first man elected to the presidency who has never previously served in elected office or the military – an approach most women would never consider. “The Democratic Party really took a beating [Tuesday] night, and most women who serve are in the Democratic Party rather than the Republican Party, meaning we have potentially fewer candidates for the future simply because women are much less likely to take the Carly Fiorina path where you kind of jump in without having a long career in politics,” Bell said. Fiorina is a career businesswoman who unsuccessfully sought the Republican nomination for president and was subject to derogatory comments about her appearance by Trump, who insulted many women on his way to the White House, even admitting to sexually assaulting them. While voters may not discriminate against women, Bell says studies show that female candidates are subject to a different level of criticism than men. Donald Trump did not lose the female vote by a much greater margin than Republicans in 2008 and 2012, when President Barack Obama claimed the female vote by 13 percentage points his first term and 11 points in his re-election campaign. Clinton exit polling showed her winning the female vote by 12 points, but that was largely due to overwhelming support from minority women. White women backed Trump by 53 to 47 percent margin. Democrat Gail Schwartz, a former Colorado state senator who unsuccessfully ran against incumbent Republican Rep. Scott Tipton for the state’s 3rd Congressional District, says she was subject to a campaign of unsubstantiated smears by her four-term conservative opponent. Schwartz agrees with other experts on women’s political issues who argue that more women are needed in higher political office because they are better negotiators and more prone to compromise than men. But Bell says there’s not a lot of research on how women behave at the highest levels of power because there simply have not been that many female leaders throughout history, therefore it’s difficult for researchers to answer the question of whether more women in power would make the world more peaceful. During the 2008 presidential primary, then Sen. Barack Obama was more conciliatory toward Iran than Clinton, whom he ultimately beat out. Trump consistently criticized Clinton for voting in favor of the 2003 invasion of Iraq when she was in the Senate, and he also blasted her throughout the campaign for her aggressive stance on Libya when she served as secretary of state.